Nowadays, everything seems to be smart – except our cars. 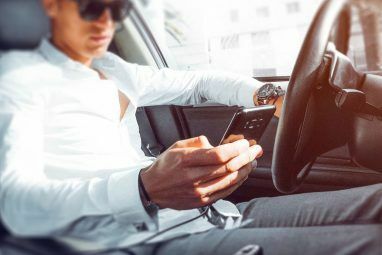 This free ODB2 device and app change that, allowing you to track how far you’re driving, how much you’re spending on gas, the health of your car, where you parked, and more. 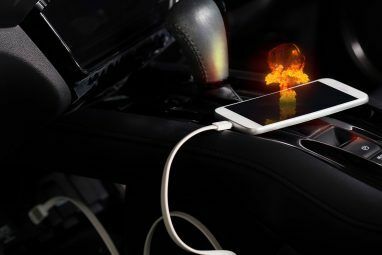 The device is the Metronome, a device developed by Metromile that plugs into the OBD2 port of any car manufactured after 1996, and it’s accompanied by free Android and iOS apps. Unfortunately, this venture is currently limited to the US only. Residents of Washington, Oregon, California, and Illinois can receive a Metronome for free, while residents of other states will be added to a waitlist. If you’re outside these states, don’t despair; there are some other great ways to monitor your car’s performance with Android How To Monitor Your Car's Performance With Android How To Monitor Your Car's Performance With Android Monitoring tons of information about your car is incredibly easy and cheap with your Android device -- learn about it here! Read More . With that said, let’s delve into to what makes this app and OBD2 device combination so spectacular. Getting the Metronome is a breeze. If you’re a resident of one of the previously mentioned US states, simply sign up for the beta on Metromile’s website, and they’ll mail you one for free! Mine arrived within a week of signing up. 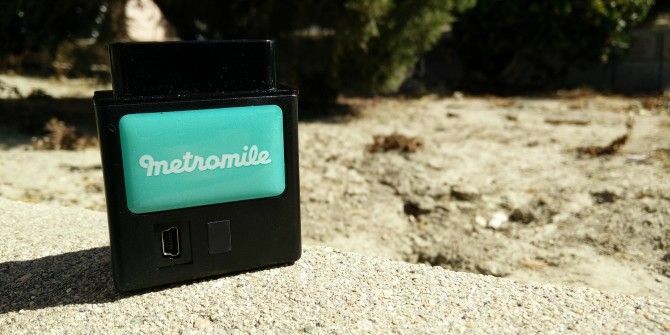 The device itself is a small black square with a green Metromile logo. You won’t be doing much interacting with the device after installing it, but it does have a mini-USB port (and it comes with a short mini-USB cable) for transferring data to your computer OBD2 & Windows: Save On Auto Repair With Diagnostic Tools OBD2 & Windows: Save On Auto Repair With Diagnostic Tools Finding a broken car's fault can be costly. Save by doing it yourself! All you need is a Windows computer, free diagnosis software, and a cable plugged into your car's OBD II connector. Read More – though that’s not necessary. Once you find the OBD2 port in your car, usually somewhere underneath the steering wheel, you can plug it in and forget about it. It has wireless radios and GPS built-in, so it doesn’t need external power or to sync with your phone. In fact, I got an email from Metromile informing me that my device was ready to go within minutes of plugging it in, without ever even turning on my car. After the installation, you’ll need the app to get anything out of it. While the app comes in Android and iOS versions, I’ll be looking at the Android version in this review. Functionally, the two apps should behave the same, though there may be cosmetic differences. The Android app has a modern-ish design, not quite up to the Material Design Exploring Android L: What Exactly Is Material Design? Exploring Android L: What Exactly Is Material Design? You may have heard about Android L and Material Design, but what exactly is this new design philosophy and how will it affect Android and other Google products? Read More look of Android Lollipop Nexus 6, 9, Player, and Android Lollipop: Everything You Need To Know Nexus 6, 9, Player, and Android Lollipop: Everything You Need To Know It's official: Android 5.0 Lollipop is here and is bringing with it three new devices: the Nexus 6, Nexus 9, and Nexus Player. Here's a comprehensive rundown of all the new hardware and software. Read More , but still good. You begin with an overview of information: a map with your current location (which is surprisingly accurate), brief information about your past 7 days of driving, and a status of your car’s health. To find the other sections, tap the icon in the upper left or swipe in from the left. These options give you a more in-depth look at the various components. The Car Health section can help you determine what exactly is wrong with your car when the check engine light comes on or it’s having other issues. Also included in this section is an “Ask Our Mechanic” button which allows you to directly email one of Metromile’s mechanics, as well as a “Find Mechanic” option which will open your chosen map application and show you nearby mechanics. The Trips section gives you a nice visual representation of your miles per gallon, fuel cost, and time spent in your car. Tapping on a single day will give you a breakdown of all your trips for that day. The Trends section is perhaps the most interesting, as it allows you to analyze all the data contained within the app. You can swipe through it to view four different stats: miles per gallon, fuel cost, miles travelled, and time spent driving. Below, you can see the last week of my driving habits. I’ve been using the app and device for over a month now, and it does allow for a month view as well. Between October 6th and 12th, I travelled 13 miles and was driving for 1 hour and 35 minutes. The graphs offer a nice visual approximation of this, and the time spent even shows you how fast you were going during those time. Looks like I spend a lot of time in my car going pretty slow. As you can see below, the app includes advertised city, highway, and overall MPGs for your car — I did not have to enter those manually. It then compares your MPG to what you should be getting in a nice graph format. Fuel cost, on the other hand, is represented by circles that get larger the more gas you use in one day. It seems to pretty accurately gauge fuel costs from around my area, from what I’ve seen. All of these features combined make the Metromile app extremely useful. Forgot where you parked? Check the location of your car. Want to cut down on fuel costs? Use this as a budgeting tool YNAB Makes It Easy to Make a Budget and Stick to It YNAB Makes It Easy to Make a Budget and Stick to It Does your checking account remind you of a debt-burdened Southern European nation? You Need A Budget. We know it's tough to keep track of spendings. YNAB can help. Read More . I can’t recommend this app and device enough; I can only hope that they expand their availability soon. Metromile also offers car insurance, though it is certainly not required to use the app or device. I don’t have the Metromile insurance, but it is an interesting proposition. Using the Metronome, they track how much you’re driving and charge you on a per-mile basis. For those who don’t drive a lot, it could be a good deal. What Do You Think Of Metromile? 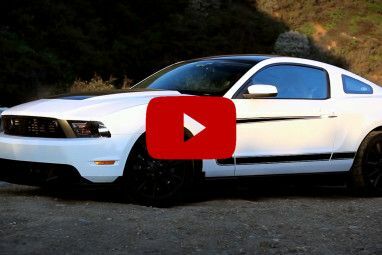 There is no shortage of OBD2 devices and apps, but this combination really takes the cake by packing a ton of features into an incredibly easy to use format. And if you’re interested in making your car even smarter, don’t forget to check out these 3 ways to bring Android into your car Droid Your Ride - 3 Ways To Bring Android Into Your Car Droid Your Ride - 3 Ways To Bring Android Into Your Car Curious about setting up an Android device as an in-car entertainment system? Here's is everything you need to know. Read More . Will you be getting a Metronome, or at least signing up for the waiting list? They should integrate speed limits from Navteq or Wikispeedia. "I don’t think a law-abiding citizen would have anything to worry about." So you NEVER exceed the speed limit. Always come to a COMPLETE stop before making a right turn on red. Ect. Ect. My fear would be that they are marketing this information to insurance companies and others. I'll admit that I do occasionally (/snark) exceed the speed limit. In the case of an accident that I did not cause I really would not want that information available to the other party in a lawsuit. With a GPS and OBD2 the device can inform your insurance company of when, where, and by how much you have exceeded the speed limit. It can also tell them when you ignored a stop sign. It can tell them when or if you turn on your lights. In the event of an accident, it can tell your speed, how hard you braked, if you swerved, etc. Plus, since you have published the data to the cloud, it is subject to police search. That's all true, but I'm completely fine with that. If there was an accident, I would much rather every involved party have this sort of information available. That could be very helpful for determining fault. I don't think a law-abiding citizen would have anything to worry about. Where do they get the money for this? Is the entire business model based around the insurance? Yes, their business is probably based around the insurance, and this free device and app are probably just incentives to try out the insurance. They are not doing this out of the goodness of their hearts. They are obviously trying to sell you insurance. And they are probably selling your data to other insurance companies. In fact, at least here in the U.S., auto insurers offer a reduction in your rates if you sign up for one of their data mining plans. These devices track everything that your vehicle does, speeds, locations, etc. If the insurance company doesn't like what it sees, it will raise your rates or cancel your insurance. No thanks. You make completely valid points, but I'm fine with my information being tracked like that. Doesn't impact me negatively, but I can see why you wouldn't want that. Good point, Shawn! But because we are our own insurance company, we do not sell your information to other insurance companies. While we do track what your vehicle does, this is to be able to visualize it back to you; our insurance is only pay by the mile, not pay depending on how well or how fast you drive. Compare and contrast with automatic.com? Have you looked into the privacy of this device, i.e. where else your data might be going? The fact that you got an email minutes after plugging in to your car is a little unnerving and makes me feel like it would be all too easy for them to be collecting your data as well. Of course they "collect your data as well". That's why it is free to use. Companies don't do things just to do them, they do things to make money by selling goods and services. In this particular case your data is sold to other companies, and they in-turn try to sell you car insurance. No need to be snarky, but I could have been more clear as well. Of course I know they are collecting data; I should have asked if it was known exactly what they were doing with it. The device and the app are free. :) The insurance obviously costs money, but that price depends on a lot of factors and isn't necessary for using the app or device.